Embracing our commitment to diversity through annual Pride events. Actions will always speak louder than words. 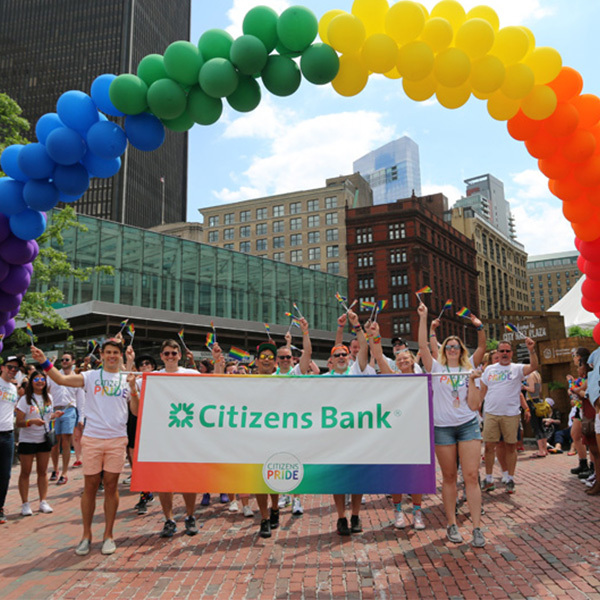 At Citizens Bank, we not only speak to our commitment to building a diverse and inclusive workforce, we put it into action by supporting community events focused on celebrating our differences. Each year we sponsor Pride festivals in our Boston and Providence communities. A team of Citizens colleagues volunteer to engage one on one with customers and potential job candidates to tell them about our banking products, Citizens culture and career paths. “Having an active presence at the annual Pride celebrations is one way we are ensuring our customers and colleagues alike are valued, respected and heard,” comments Matthew Beasley, head of diversity & inclusion. The events are heavily attended as volunteers hand out fun giveaways, answer banking questions and discuss career opportunities with hundreds of participants stopping by the Citizens display booth. The Citizens team is also able to network with non-profit community organizations at the events to discuss possible partnerships and outreach opportunities in the future. Fadi, a senior risk manager in Commercial Banking, chairs the community pillar within Citizens Pride, the new LGBT Business Resource Group and attended the Pride events on behalf of Citizens. “It was a real honor to work with the BRG leadership team and other colleagues to participate in this year’s Boston Pride Parade and Festival and the Rhode Island Pride Illuminated Night Parade and Festival in Providence. 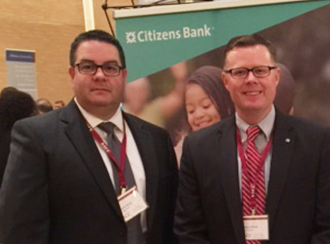 Showing our surrounding community that we are actively engaged made many of the marchers and volunteers quite proud to be part of the Citizens Bank team,” adds Fadi. 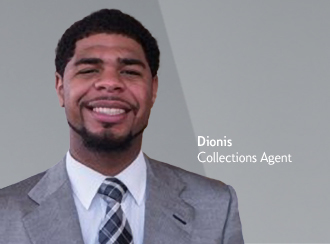 Citizens’ involvement in Pride Month is yet another example of the impact we can make when we leverage the wonderful diversity in our organization to better serve our customers, colleagues and communities. Read some of the other great reasons to join Citizens team of diverse and inclusive professionals.